On my recent visit to Tahiti, my tireless tour guide, Fifi, took me to The Tahiti Pearl Market in downtown Papeete, a must visit for anyone who loves to shop while traveling. 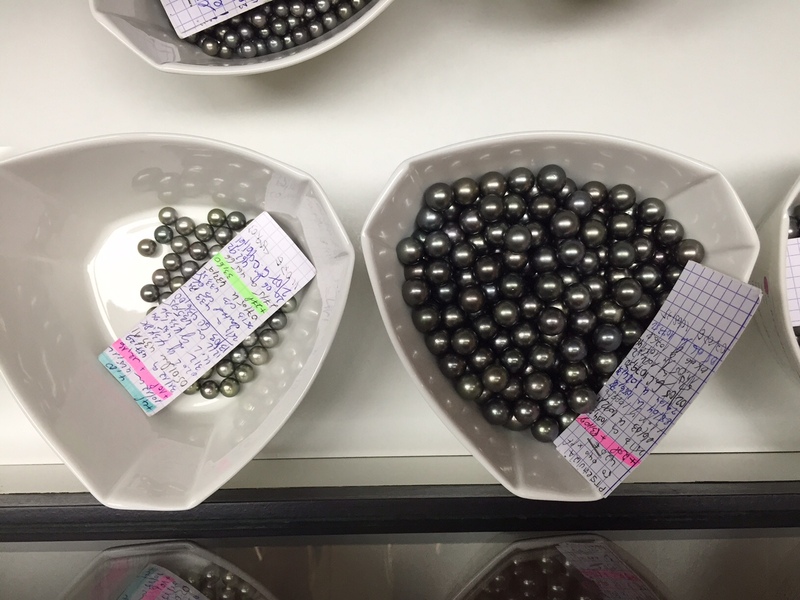 The Tahiti Pearl Market is not a marketplace, but a small second floor boutique that was a hive of activity of people intently selecting pearls to take home. Visitors can choose their own black pearl color based on color and quality and create a custom setting of earrings, rings or necklaces. What I quickly learned, this is not an easy decision. Black pearls are very rarely black: they are usually shades of green, purple, blue, grey, silver or peacock (a mix of colors like peacock feathers.) Black Pearls (Tahitian cultured pearls) are not to be confused with South Seas pearls which are the largest and rarest of cultured pearls. 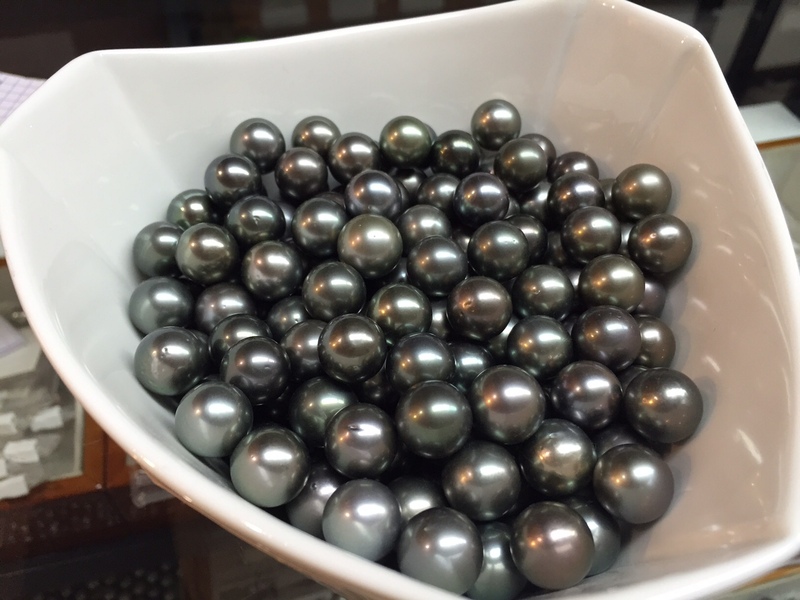 Black pearls can vary greatly in size, shape and color. It’s all a matter of preference as to which shade you prefer. 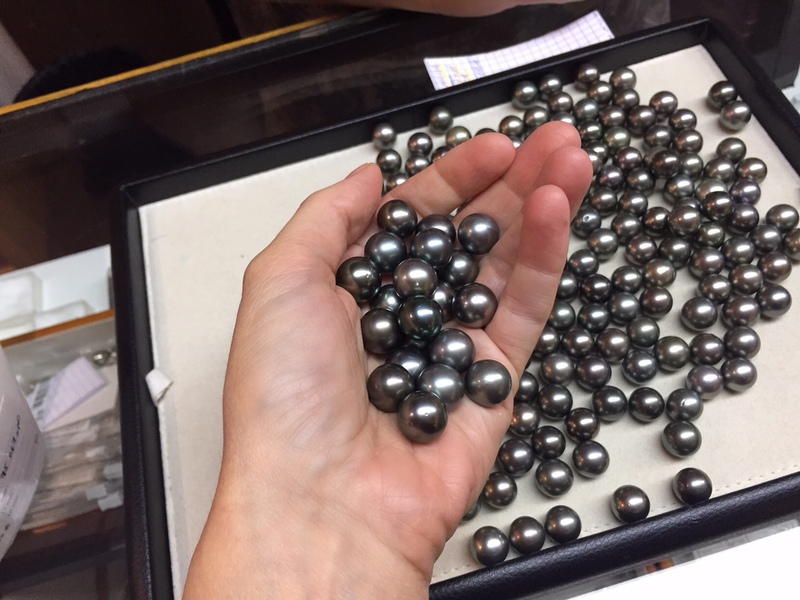 I was eager to create my own earrings before heading off to tour the Paul Gauguin, so the salesperson quickly presented a bowls of lustrous pearls to me. Before I was allowed to delve through the pearls, she purposely weighed the bowl to the kilogram. 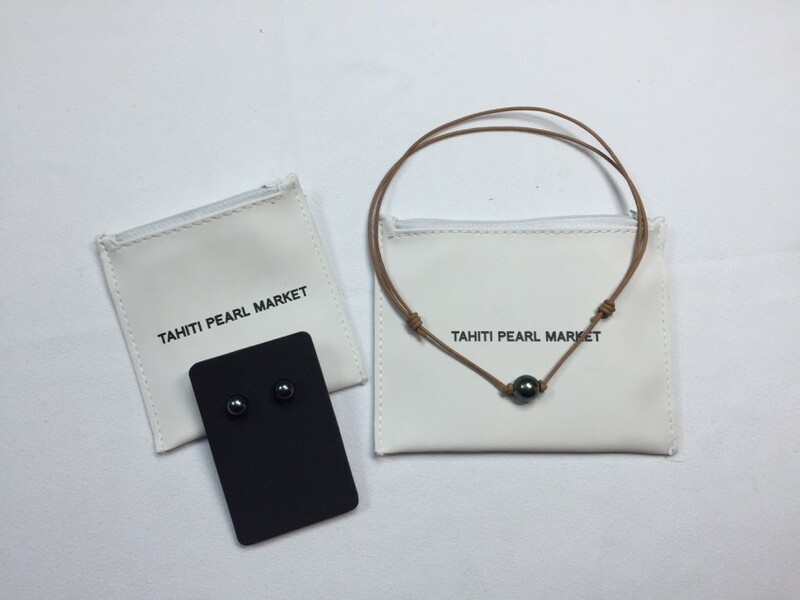 I found two similarly colored black pearls in size and shape, more with a blue green hue, to create small earrings and also found a larger black pearl and leather necklace that was already designed. Purchases at the Tahiti Pearl Market can be Duty Free for international travelers which is claimed back on departure from Tahiti. Pearls are certified and prices do vary depending on color so consider your budget when buying black pearls. Pearls are rated from A to D (A being the best) based on luster and smoothness. It is recommended to buy no less than quality B for a decent quality pearl. 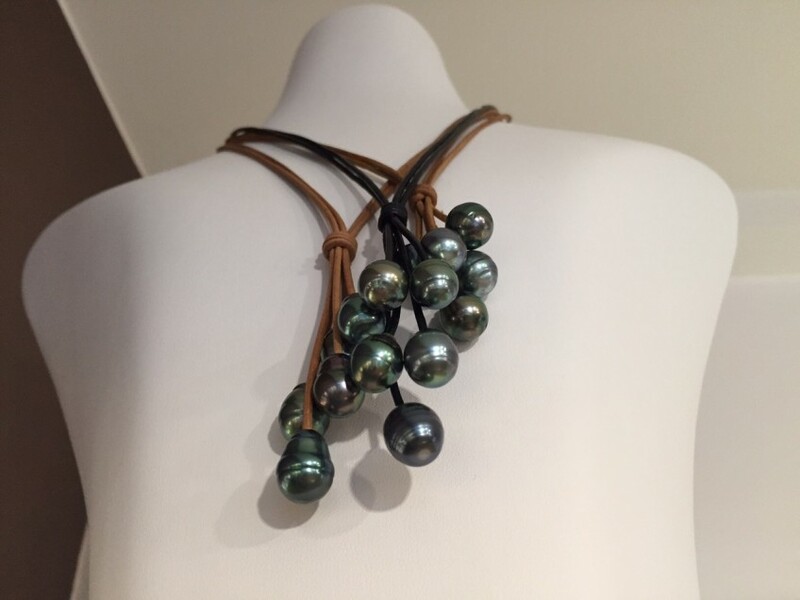 If you don’t want to shop for just individual pearls, I recommend the luxury boutique Hinerava, which I visited while staying at The Brando Resort. 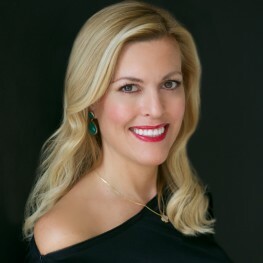 Modern chic pieces are designed by Kelly Bailey using the highest grade black pearls and perfect for someone who wants something unique and stylish.